I revisited and reprocessed this data to see if I could find any of the nebulosity reported in the Sky 6. There is some, but it is pretty faint throughout the region – you can see the very edge of the Heart nebula bottom right, so the faint stuff is almost certainly part of this. 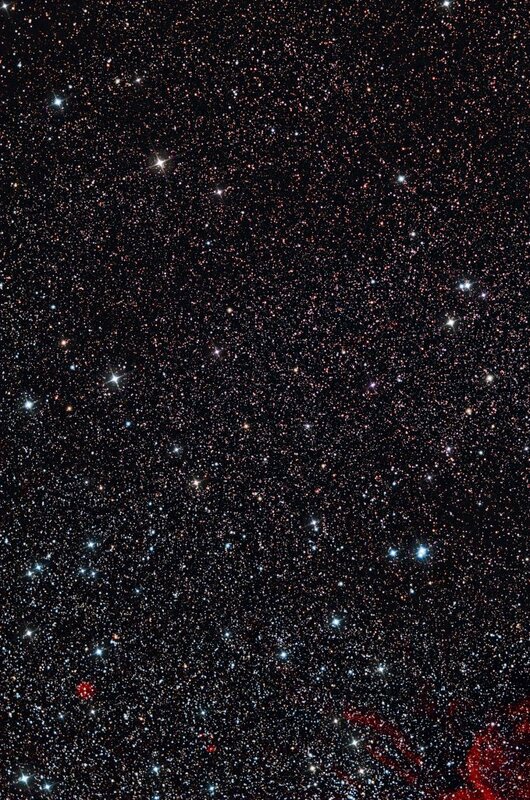 One thing’s for sure – there are a lot of stars! This entry was posted in Sky 90 and SXVF-M25C. Bookmark the permalink.